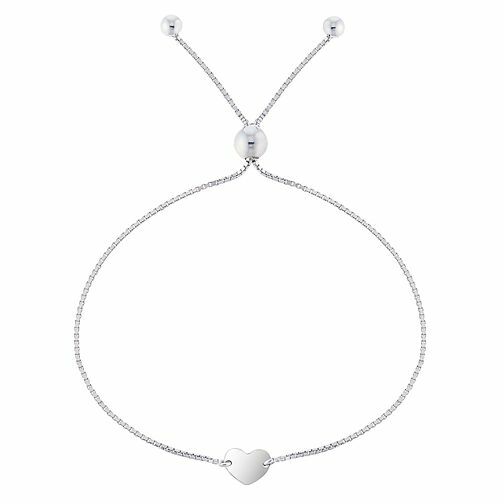 Unique and sophisticated, this beautiful sterling silver bracelet is a charming gift for any friend. Features a heart charm and an adjustable fastening. Silver Disc Heart Friendship Adjustable Bracelet is rated 4.2 out of 5 by 6. Rated 5 out of 5 by Anonymous from Great present I bought this as a present for someone and it’s reslly lovely, it’s well made at a great price! Rated 5 out of 5 by Anonymous from Very elegant Bought this for my sister, it looks elegant and was a great price and speedy delivery.